Why Are Secured Credit Cards Better than Cash or Checks? We all know that shopping on line can often save both time and money. Finding a specific product via a Google search is much more efficient than telephoning every store in your town, or driving from store to store. And often, the price including shipping is less than you’d pay in person. And, while some on line stores do accept electronic checks, you usually have to wait until your check clears before your merchandise will be shipped. If you do much traveling at night, you know how convenient it is to pull into a station that’s closed and use your credit card to fill up. You can’t do that with cash or a check. Next, reservations: Unless you secure your spot with a credit card, you take the chance of not having a room or a seat when you need it. Safety is another issue. Whether you buy on line, over the phone, or from a catalog, there’s always a chance that the company isn’t on the up-and-up. When you’ve paid for your purchase with a credit card, the credit card issuer will back you in your complaint – and credit the purchase back to you. As for loss… If your credit card is stolen your liability will never be more than $50 – and some cards offer zero liability. All you have to do is call and notify your credit card issuer. If your cash is stolen – it is simply gone. And if your checkbook is stolen and the checks used, you’ll have to jump through hoops to prove that you didn’t write those checks. 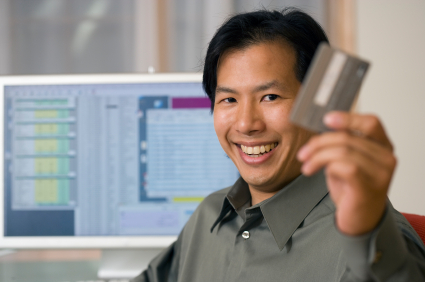 Last but not least, a secured credit card will help you build or rebuild your credit scores. Just as with any other card, your usage will be reported to the credit bureaus each month – slowly improving your credit scores with each month of responsible use. The UPSIDE VISA® debt free prepaid card is a parent’s answer to controlling spending while making sure that teens have access to money when they need it. It’s the card that’s made to order for teens 13 and up – and for college students up to age 25. With instant reload from a parent’s bank account or credit card, it’s the easy answer to getting funds to a child quickly should an unexpected expense arise. And the best part is, you and your child can try this card for FREE! The basic plan, which allows for a maximum balance of $1,000, comes with no activation fee, no monthly fee, and no fee for loading from a parent’s checking account. This plan does not allow ATM withdrawals, but is accepted anywhere Visa debit cards are accepted. The Upside Access plan carries a monthly fee of $2.95, can carry a balance of up to $2,000, and does allow ATM withdrawals, both at home and abroad. Upside Edge allows a balance of up to $5,000 and the annual fee of $29.95 will be refunded if cumulative loads reach $2,900. This plan also allows ATM access plus free direct deposit if the teen has a part-time job. 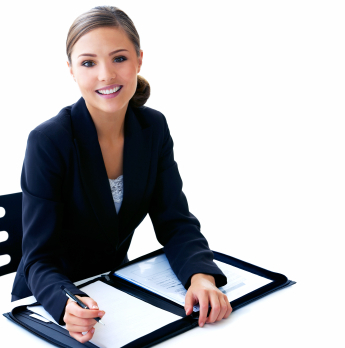 In addition, if your child is 18 or over, Upside Edge offers an online check writing service. All three plans credits points for the Sponsorship Program and UPside Mall purchases, and the Upside Edge also gives 1% cash back on funds loaded. Points can be saved, as they never expire. All three plans also give parents real-time Internet access to their child’s transactions, so you and your child always know the current balance on the card. Upside Access is far safer than cash, because lost cash is lost, but funds on a lost card are not. All you have to do is let us know the card has been lost or stolen. Then we’ll cancel your card number and issue a new one. Should You Dispute Negatives On Your Credit Report? Disreputable credit repair agencies will tell you to dispute every negative entry on your credit report – even if it’s truthful. Their theory is that when you keep disputing these entries month after month after month, they’ll get tired of you and just drop them. And perhaps it works for some people in some circumstances. But you’re sure wasting a lot of your time and energy when it would be easier and better for you to simply work on repairing your credit through legitimate means. So, if the negatives are accurate and their time limit has not expired, the answer is no. Don’t dispute them. But… there are entries that you should dispute, because they are errors. And in fact, some of them could be evidence that your identity has been stolen. Current accounts that are not yours – You haven’t opened an account at that department store, so why is an account showing up? Dispute it, and dig deeper to find out who did open it. You may need to report identity theft. A new employer – who happens to be someone you don’t even know. Again, this can be a symptom of identity theft. A change of address – when you haven’t moved. It could be a phony address that a thief is using temporarily. Listing of a spouse who isn’t yours. Someone who stole your identity may not know your spouse’s name – and has thus listed a different spouse on a credit application. Late payments, charge-offs, or collections that aren’t yours. This could be a sign of identity theft, or a data entry error. Closed accounts that list anything but “paid as agreed” if you always paid on time and had paid in full when the account was closed. Accounts listed as unpaid that were included and charged-off in a bankruptcy. Accounts listed as unpaid that were, in fact, paid in full. This is a bookkeeping or record keeping error and needs to be corrected! Negative items that have passed their “expiration date.” This is 7 years for most things, and 10 years for bankruptcy. Incorrect reporting of who closed an account – you or the bank. This one sounds like it might be important, but it isn’t. What’s important is that the entry shows that you were paying as agreed while the account was open and that you no longer owe a balance. Do you find yourself paying late charges because you forget to pay a bill on time? With direct deposit and automated bill pay, the Facecard prepaid MasterCard® will save you from that drain on your finances. And direct deposit means your money will be available for your use sooner. You can also load your Facecard from your bank account or by transfer from a credit card or debit card. The maximum that may be loaded from a credit card is $500, and the maximum balance you may carry on your Facecard is $2,500. The Facecard is just a little different from most pre-paid credit cards, because it is available to U.S. citizens 13 years of age and older – most cards require holders to be at least 18 years of age. You still do have to provide a Social Security number, full name, and address, in compliance with Federal Regulations. As with many pre-paid credit cards, there is no monthly fee if you use your card regularly, but the Facecard minimums, like its age limit, are lower. To avoid the $3 monthly fee, you can load as little as $100 per month on your card or spend as little as $100 per month using your card. This makes the Facecard a great pre-paid card for teens whose parents might want to load their monthly allowance or emergency funds onto the card. Transfers from one Facecard to another are always quick and always free. The Facecard also offers “Prewards” - digital incentives (like coupons) that are automatically added to your Facecard as soon as you click on “accept” after receiving an e-mail notice. . Merchants in our partner network send digital incentives to your Facecard for you to enjoy at their restaurant, store or place of business. Each Preward is for a specific business and is good for a set time limit. The Facecard cannot be used for gambling or any illegal activities. The Teen Facecard cannot be used to purchase alcohol, tobacco, adult entertainment, firearms, or ammunition. When you finish your schooling and set out into the working world, you’ll find yourself at some point in need of credit. You may want to buy a car, rent an apartment, or just get a cell phone in your own name. And of course, before long you may want to buy a home. Not only that, good credit will help you land a good job and get lower insurance rates. The best idea is to start while you’re still in school, but if you haven’t done that, start now. The first step is to order your free online credit report, even if you’ve never established credit in your own name. That’s because identity theft is rampant, and there could be accounts in your name that you don’t know about. So first check to see where you stand. If there are problems, start right away to correct them. If there are no problems, the first step is to open a checking and a savings account. Keep good records so that you never overdraw your checking account, and strive to put 10% of your income into the savings account each month. Next, slowly establish at least 3 lines of credit. 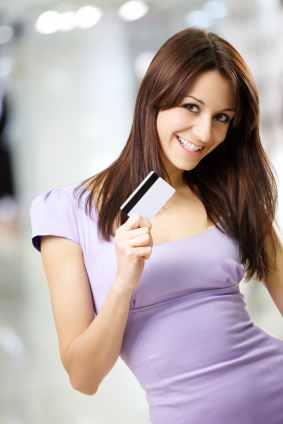 Choose from major credit cards, gas credit cards, or a retail store line of credit. Make sure that if you choose a retail account that the store does report to the credit bureaus. Before you apply, look at their requirements to be sure you qualify. You don’t want to be rejected on your first application! If necessary, get a relative with excellent credit to co-sign, or get a secured credit card. A secured card requires you to deposit money in a savings account as security for the line of credit. 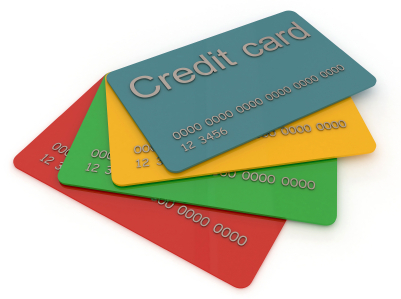 But since these cards report to the credit bureaus, your wise use will help you establish a good credit history. After you’ve established yourself with the company, you can ask to be switched to an unsecured account. Once the first source of credit is established, wait a few months and apply for a second one. Again, first read the requirements and make sure you qualify. Be careful to use less than 30% of your available credit, and always, always pay your bill on time. Next get a small installment loan from a bank or credit union and make every payment on time. If you need a car, choose a good used model. The interest rate will be a little higher, but since the price tag will be far less than that of new car, your payments will still be smaller. Instead of pushing your budget and giving yourself sleepless nights worrying over bills, spend less and put a portion into savings each month. A cushion of savings will give you freedom, and the ability to take advantages of opportunities later on. So make your future bright: Establish good credit, restrain your spending habits, pay every bill on time, and save a little each month. Not only will you have fewer worries, but when you do need credit it will be easier to get and will cost you less. The Horizon Gold Credit Card is a line of credit that can be used to shop exclusively at the Horizon online shopping website. There is no advance fee to establish credit and Horizon Card Services™ does not attempt or claim to attempt to establish or repair your credit history. 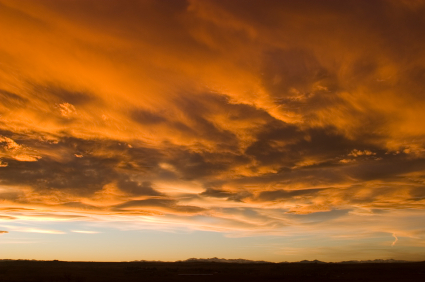 Your application, however, will be reported to at least one major credit bureau. This account is available to individuals 18 years of age and older who possess a valid U.S. credit card, debit card, checking or savings bank account. We will not check your credit, income, or employment prior to issuing your card. Prior bankruptcy will not prevent you from receiving the card. The one time fee for card issuance and account validation is $5. Payments on your account will be automatically debited to the credit or bank account you designate upon application. Your monthly payment will be 5% of your outstanding balance or $10, whichever is greater. The Annual Percentage Rate for Purchases is 0.00%. There are no penalties for prepayment. When your account is activated, you will be automatically enrolled in the Horizon Monthly Membership/Benefits Plan. This membership includes a $500 unsecured card, plus access to My Privacy Protection, My Universal RX, My Roadside Protect and My Legal Assistance benefits. The $24.95 monthly fee for these membership benefits will be auto-debited monthly. My Privacy Protection gives you unlimited Internet access to view your own credit report. My Universal Rx offers unlimited access to local participating pharmacies, with up to 40% off covered prescription medications. My Roadside Protection will pay up to $50 / 15 miles for up to 3 service calls per year for fuel delivery, lock-out service, and flat tire changes. Note* This is not an accident vehicle recovery service. My Legal Assistance gives you Internet access to legal resources and one toll-free 30-minute consultation with a legal professional. Consultation does not cover criminal charges/issues. you in a position of being unable to meet your obligations. If so, you’re not alone. Thousands of others are in the boat with you. Unfortunately, when you fall behind on credit card bills, debt collectors will begin to call. 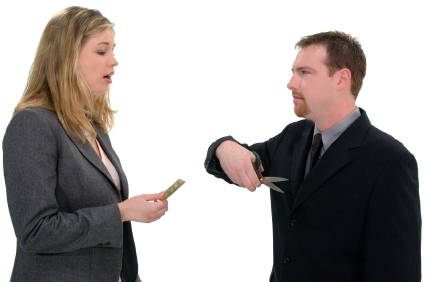 The calls from your actual creditor will probably be fairly friendly. They’ll offer to help you set up a repayment plan, and may even offer to settle the debt for a lesser amount if you can pay it off in a lump sum. You have to wonder how they think you can come up with a lump sum if you couldn’t manage a monthly payment, but it’s their job to ask. Most of the time your original creditor won’t take legal action against you. They’ll either sell your account to a third party, or turn it over to a collection agency or an attorney. And this is the group that’s likely to become abusive. They’ll begin with phone calls and threats of legal action – and could proceed to get a judgment against you. Depending upon your State laws they can garnish your wages, drain your bank accounts, or place a lien on your property. Note that they are not allowed to touch a bank account if all the funds in the account come from Social Security Retirement or Disability, or Veteran’s Disability. Although there are strict regulations, such as rules preventing them from calling you at work, talking to your neighbors about your situation, or calling you between the hours of 9 p.m. and 8 a.m., some of them will do it. Some have been known to threaten bodily harm, jail time, deportation, or loss of child custody. These threats are false and illegal, as is the use of profanity. If you are subjected to such calls, you can and should take action against them by reporting them to the Federal Trade Commission or the State Attorney General. Act quickly to get their names and contact information, because fraud and harassment are criminal offenses. Even worse is when these practices are employed by bogus debt collectors. They use them to try to extract money that you don’t even owe. These could be debts that were discharged in bankruptcy or debts that have passed the statute of limitations in your state. But they search public records to find them, in hopes that they can scare you into paying. Some debt collectors will even attempt to collect monies owed by deceased relatives – either by preying on your sense of loyalty to the deceased or by falsely claiming that you “inherited” the debt. The YAP™ MasterCard Prepaid Card was designed with mobile phone users in mind. With YAP you can do everything you could do at home with your PC while you’re on the go. Of course, you’ll also get a card to use for in-store purchases. You can load your YAP card for free with direct deposit – designate all or part of your paycheck to automatically be added to your YAP debit card each pay period. You can also add money for free via phone or PC transfer from other YAP members. They send the funds and you get a text message telling you it’s been done. You can also transfer money from your bank account. Just log in to your bank account, choose “transfer” and enter your YAP account number (not your card number). Some banks will charge a fee for this service. When you need to covert your physical cash to electronic cash, you can purchase a Green Dot® MoneyPak® from thousands of retailers nationwide, including Walmart, Walgreens, and Kroger. When you apply today and load your YAP™ MasterCard Prepaid Card via a bank transfer, you’ll get an Instant Virtual Card – so you can shop online today! You’ll pay no monthly fee when you load at least $500 per month into your YAP account. Otherwise, it’s only $5 per month. There is no activation fee, and the first month is FREE, even if you load less than $500. Account management is free, too – over the phone, online, with iPhone Yapplet, WAP site, or text messages. The YAP® Mastercard Prepaid Card is FDIC insured and adheres to Federal Regulations requiring us to obtain, verify and record information that identifies customers before they register a new card. Everyone likes to give advice, but some of it will do you more harm than good. And, some advice is good or bad depending upon whether you are trying to eliminate debt or build your credit scores. That’s good advice, but only if you can move all your debt to that card without exceeding 50% of the card’s credit limit. Otherwise, its’ bad advice because it will harm your credit scores. This is true even if it leaves you with a few other credit cards with zero balances. I know, that doesn’t make sense… you still have the same amount of credit available and still owe the same amount, but that’s the way scores are calculated. No one card should have over 50% of it’s limit in use – and staying under 30% is better. However, if you know you won’t be needing new credit in the near future and moving your debt to a low interest credit card will allow you to get rid of your debt faster, then it’s good advice. Another advisor might tell you to close accounts that you aren’t using, or close accounts with high interest. But that’s bad advice, unless you lack self-control and would feel that you had to use that available credit to put yourself farther in debt. When it comes to building high credit scores, the more credit you have that is available but unused the better. And the older your accounts, the better. 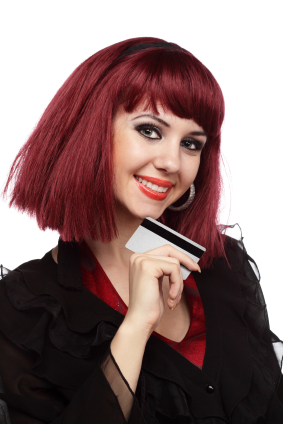 Your history of credit use is a large portion of your score. So keep those old cards and use them just often enough to prevent the card issuer from closing them for non-use. Pay the bill in full when it arrives and the high interest rate won’t be a factor. If your debt is spread among many cards, most advisors will tell you to pay down the high interest balances first. But that’s only true if you’ve used about the same amount of your available credit on each card. If you’re working for better credit scores, pay down the highest balances first. When you’re shopping for a car or furniture, any credit advisor will tell you to wait until you’ve made a firm buying decision before allowing the merchant to check your credit. And don’t just tell them not to check – refuse to give them the opportunity by refusing to disclose your Social Security number until you’re ready. This is because multiple inquiries on your credit report will lower your scores. But there are 2 exceptions: Mortgage loans and checking your own credit. When you shop for a mortgage loan the lender needs to know your scores in order to determine the mortgage interest rate they’ll offer you. And, since different loan companies offer different products, shopping for that loan is a smart move. Those who compile credit scores realize this fact, so as long as your inquiries are grouped within a short period of time, multiple inquiries will count as only one. Finally, checking your own scores not only does not damage your scores, it’s the smartest way to manage your credit. By checking often you’ll be better equipped to make necessary changes, and you’ll be alerted quickly to errors on your report and/or signs of identity theft. The Green Dot® Gold Prepaid Visa Card can give you all the benefits of credit card use, without the worry of a bill to pay. Use it just like any other Visa card – for on-line purchases, on-line bill pay, self-serve gasoline, and even booking airline flights. Plus, the Green Dot® Gold Prepaid Visa Card comes without the hefty fees charged by many pre-paid credit card issuers. When you purchase a Green Dot® Gold Prepaid Visa Card at a retailer, you’ll pay up to $4.95 – but when you activate your card online, the fee will be waived. Your card will arrive with a zero balance and can then be loaded at any of 50,000 participating retail stores. Or… you can opt for direct deposit and receive a $10 credit the first time a deposit of $250 or more is sent from an employer or government agency. Direct deposit is a free service – and if you need cash out you can withdraw it at no charge at over 15,000 participating ATMs. The monthly fee for this card is $5.95 – but that fee will be waived for any month during which you load at least $1,000 or make 30 purchases with your card. The bottom line – if you choose direct deposit of $1,000 or more per month, and if you use only network ATMs for your cash advances, you can use the Green Dot® Gold Prepaid Visa Card for free. To qualify for the card, you must be 18 years of age or older and must provide your name, address, date of birth, Social Security Number and other information. This is in keeping with Federal law that requires us to obtain, verify and record information that identifies customers before they register a new card.